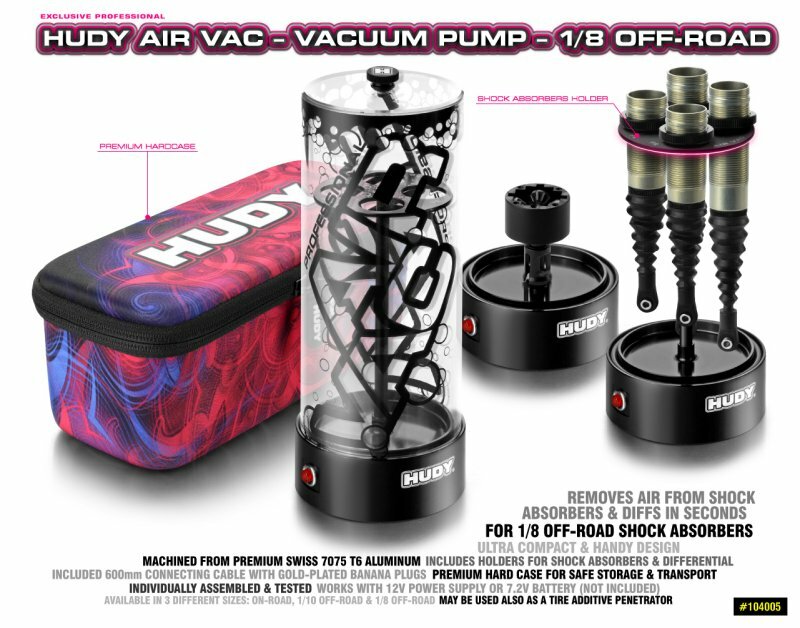 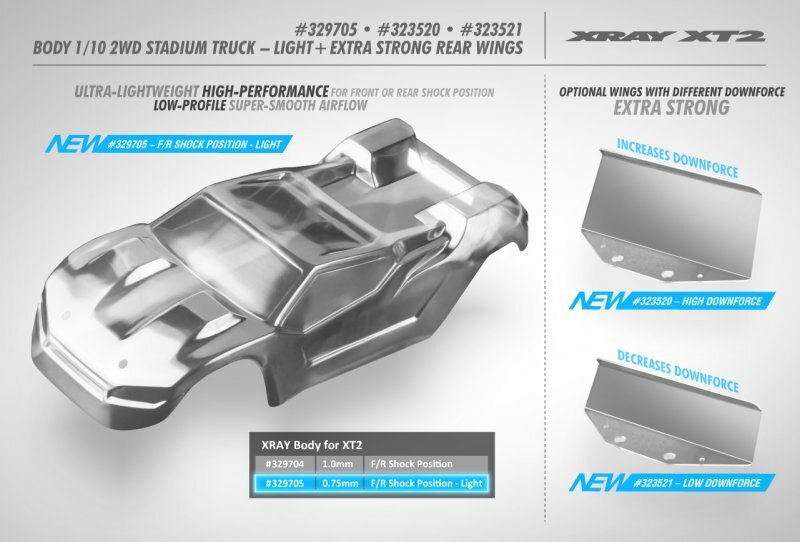 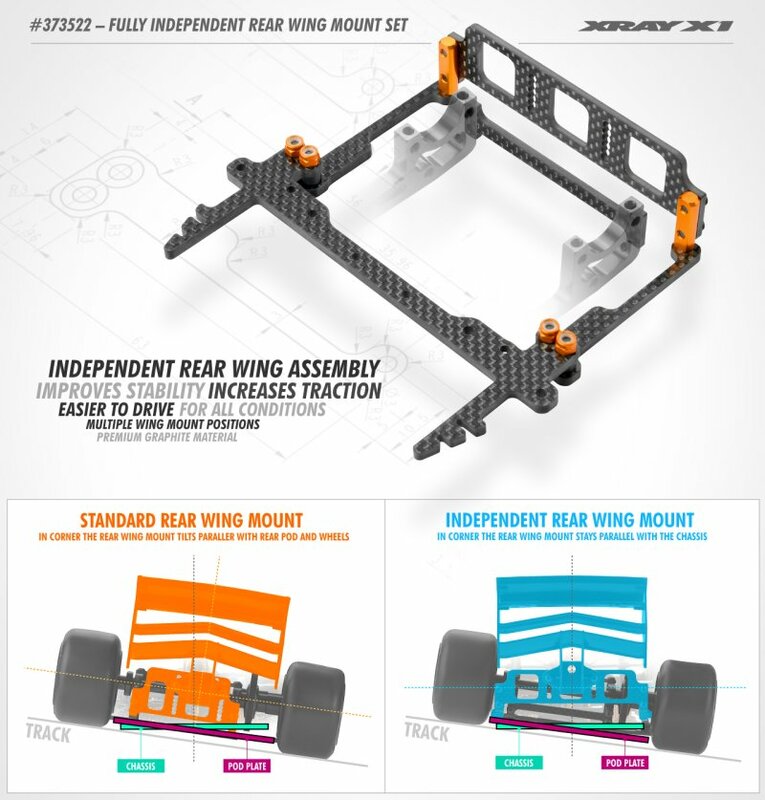 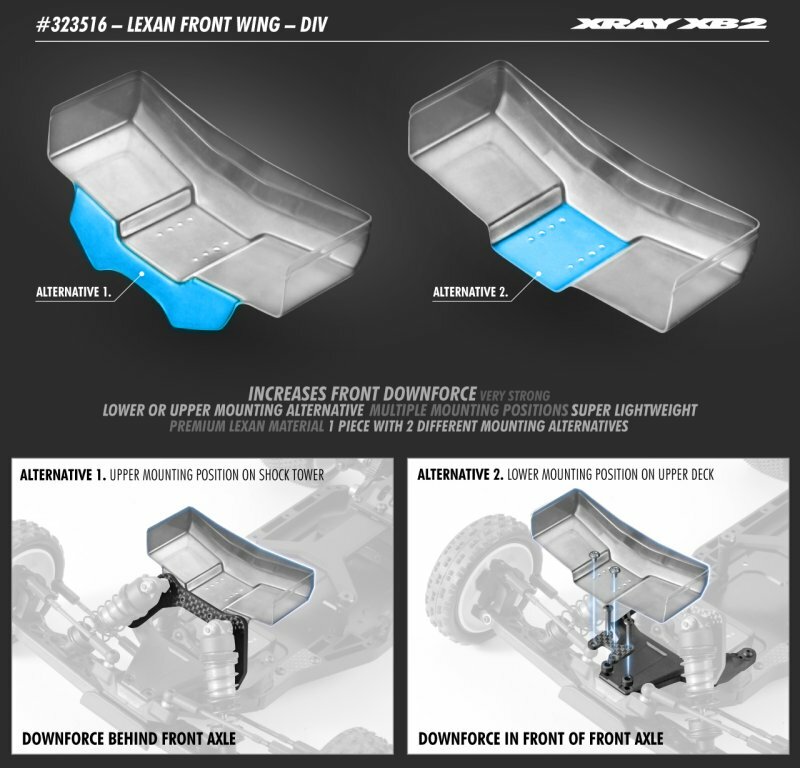 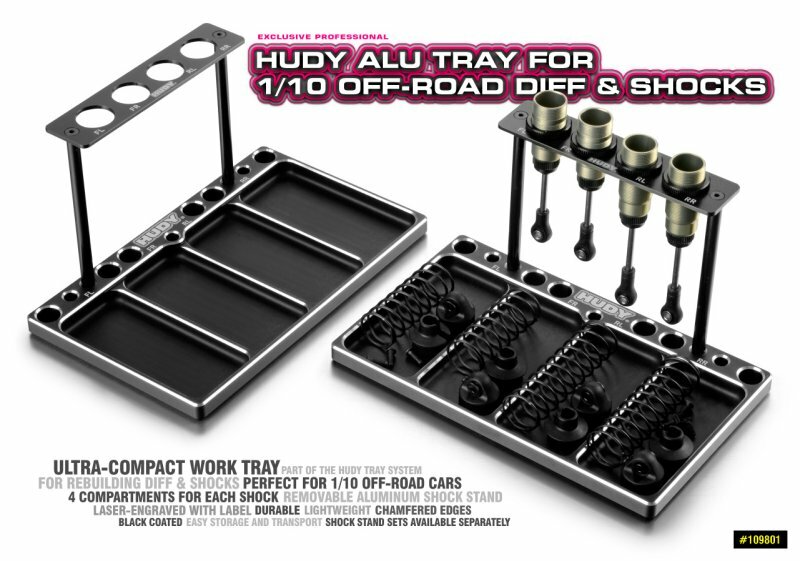 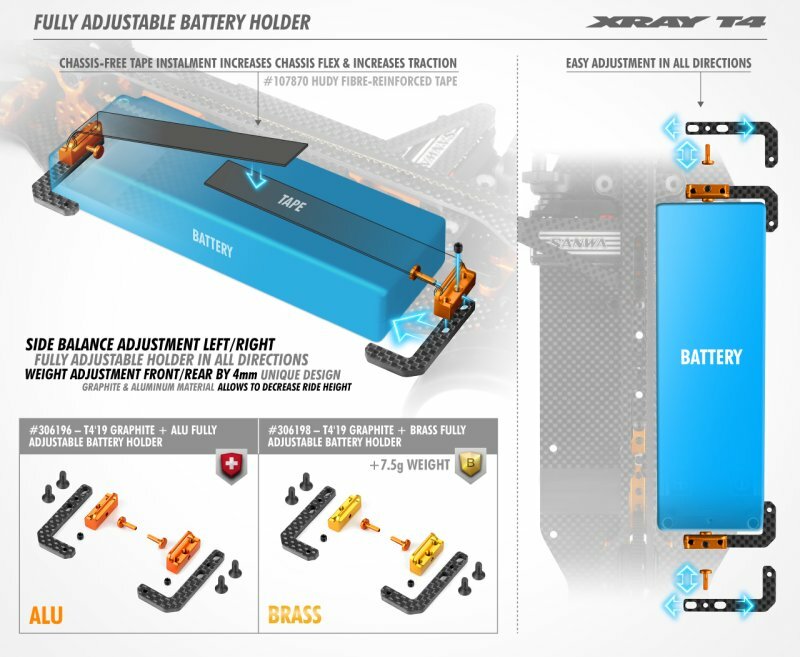 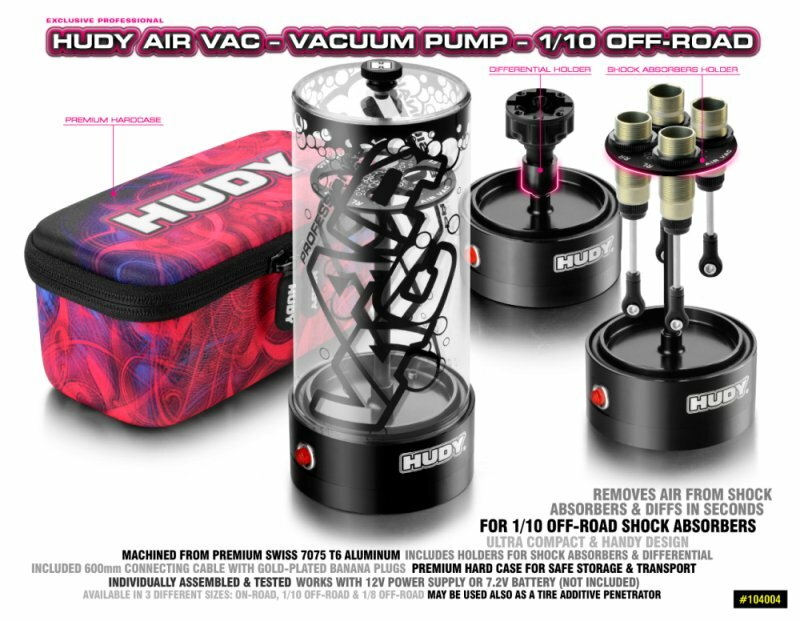 #109802 HUDY Alu Tray for 1/8 Off-Road Diff & Shocks � Ultra-compact work tray for diff & shocks rebuild � Perfect for all 1/8 off-road cars � Fits also 1/10 off-road differentials � Includes easily removable aluminum shocks stand � 4 compartments for each of the shocks, each laser edged with label � CNC-machined from one-piece aircraft aluminum for durability � Machined pockets with super thin walls for weight saving � Stylish chamfered edges � Black coated � Quick disassembly for easy storage and transport � Shock stand sets available separately to convert between vehicle types � Part of the HUDY Tray System Professional, ultra-compact work tray for diff & shocks rebuild. 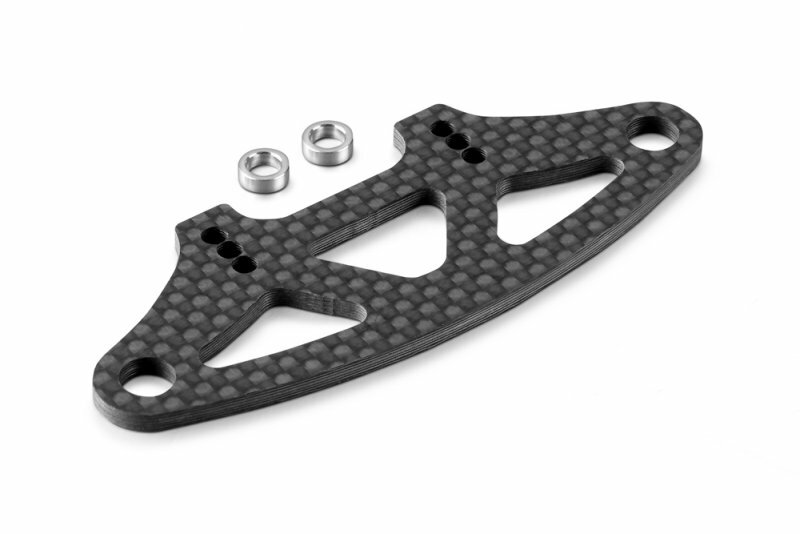 CNC-machined from one-piece aircraft aluminum. 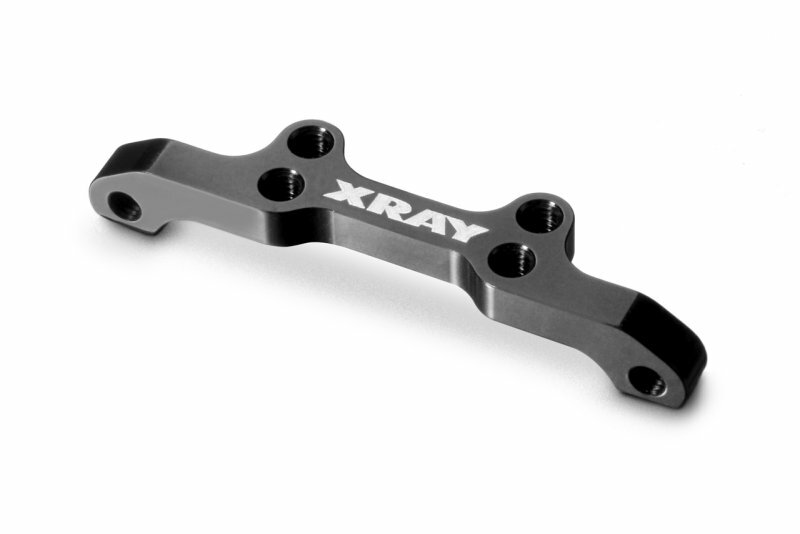 Extremely durable and wear resistant thanks to the hard black coating. 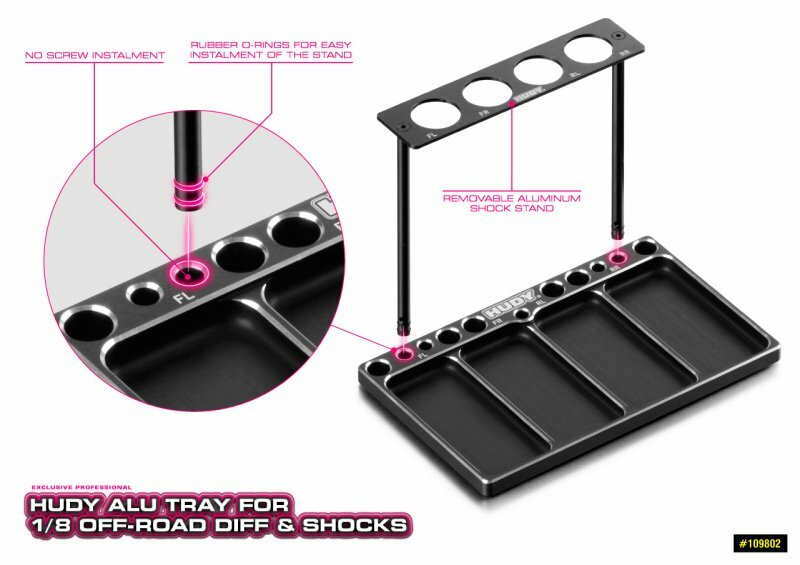 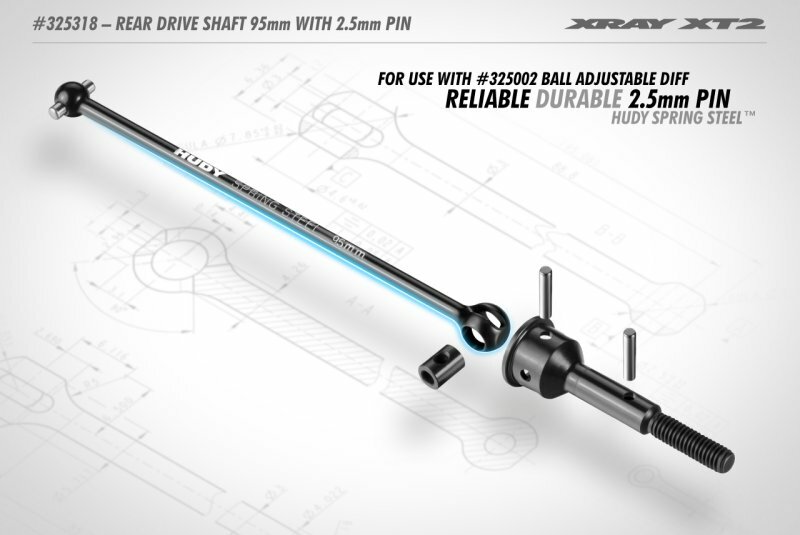 The parts tray features 4 compartments for each of the shocks laser edged with label. 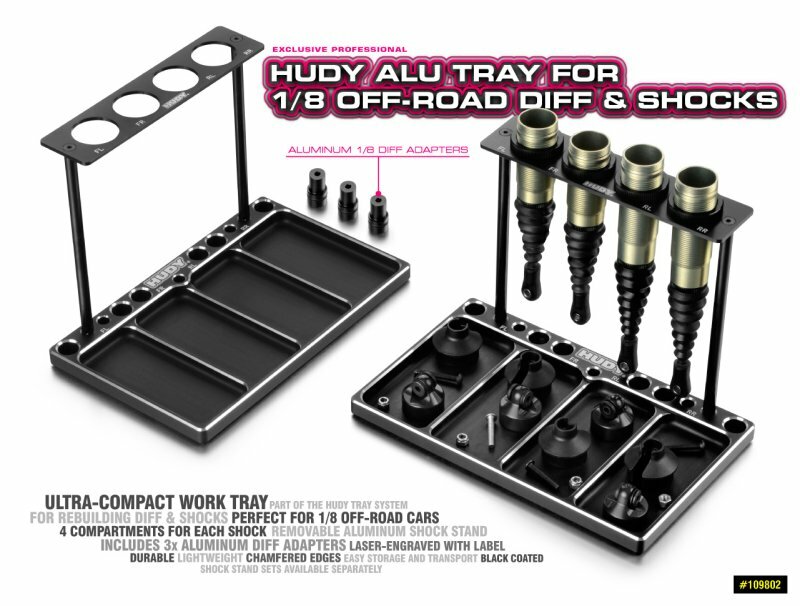 Perfect for 1/8 off-road cars. 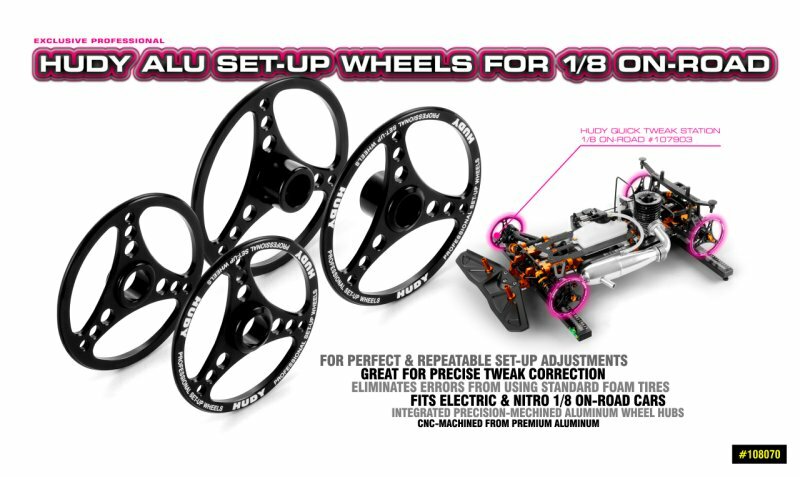 Includes easily removable aluminum shock stand. 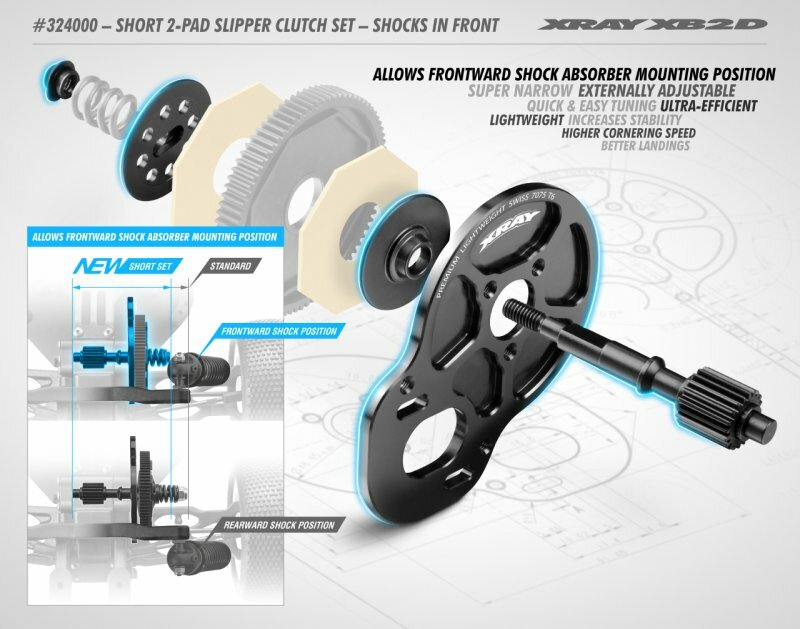 Shock stand sets are available separately to convert between vehicle types. 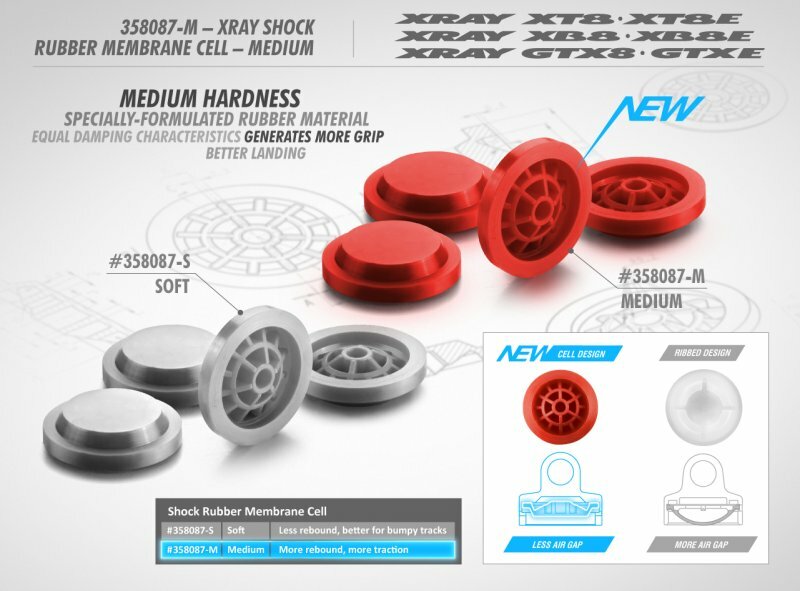 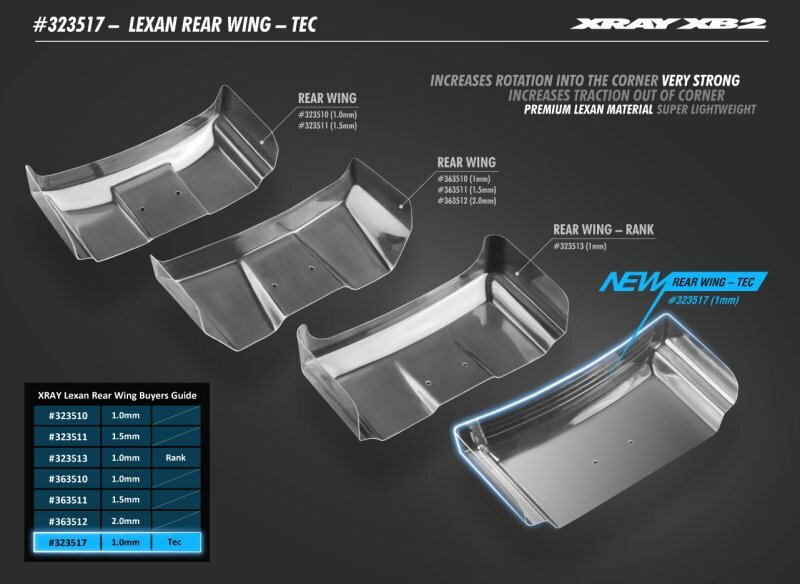 Machined pockets feature super thin walls for weight saving. 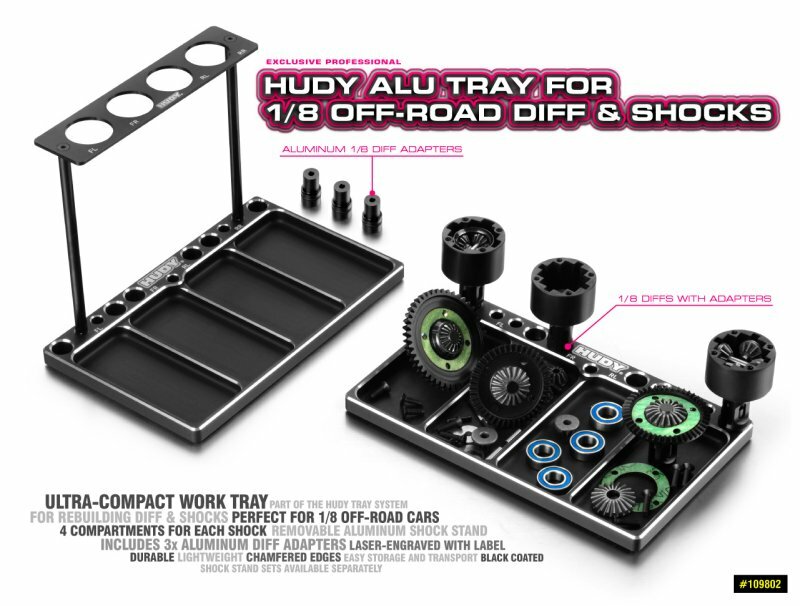 Stylish chamfered edges and laser engraved HUDY graphics makes your tray stand out on your pit table. 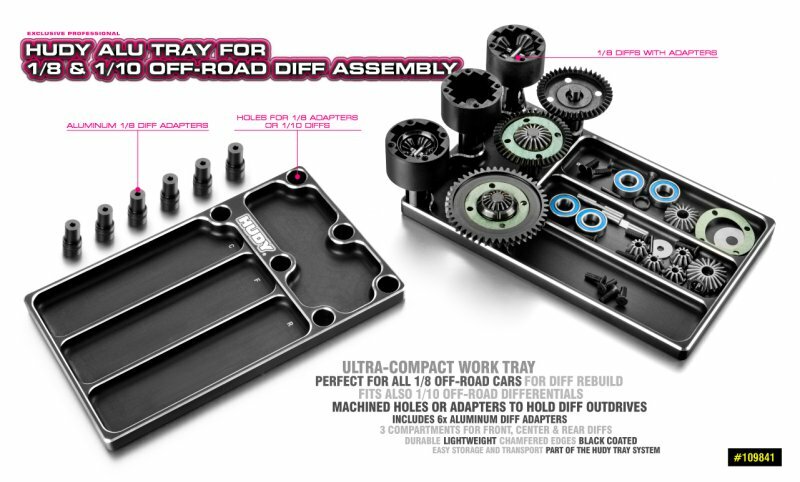 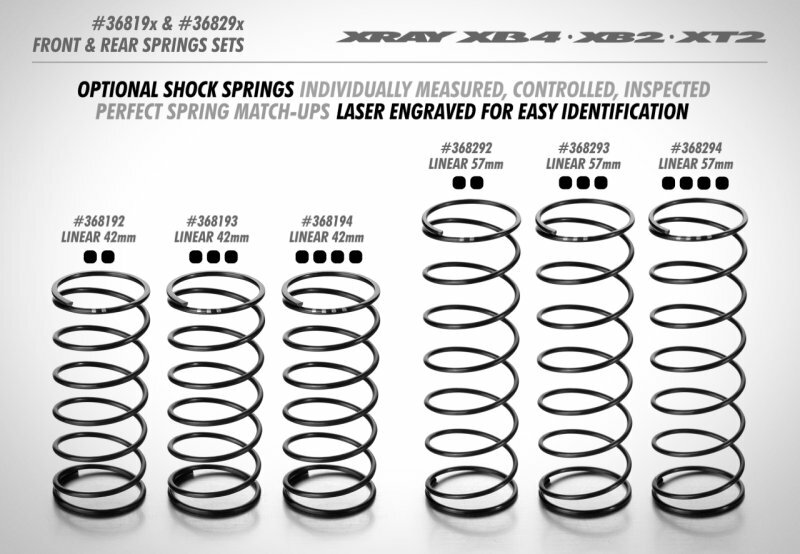 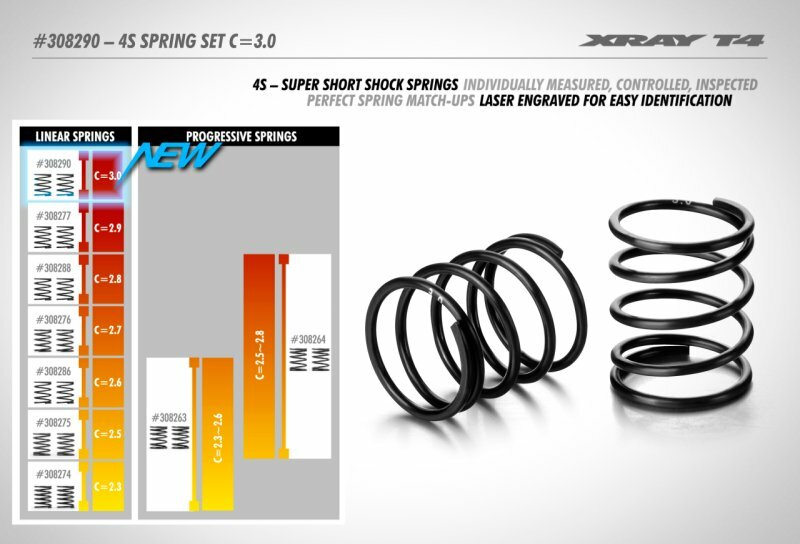 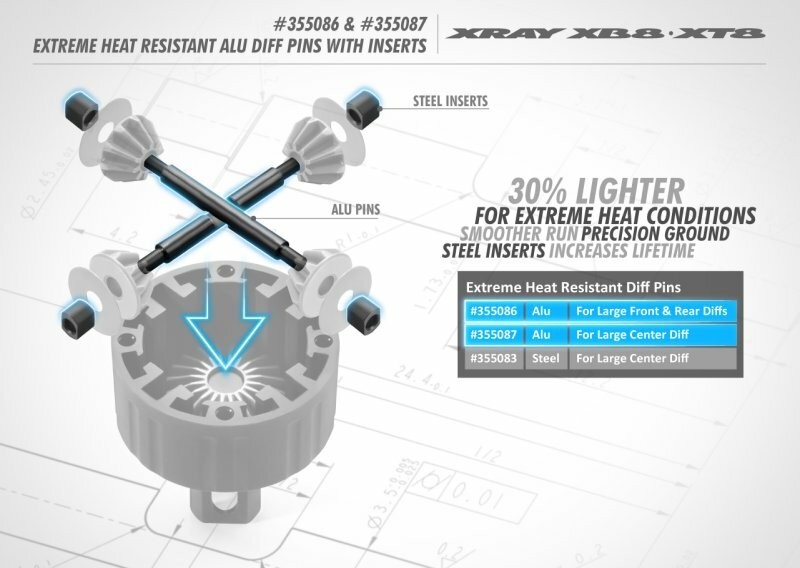 Fits also 1/10 off-road differentials.